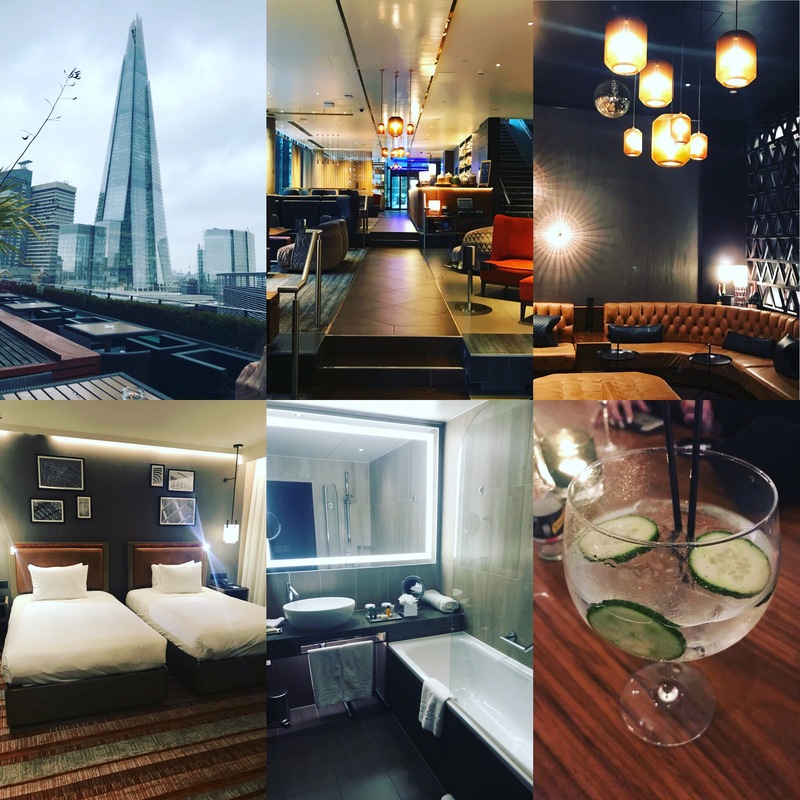 I had my first overnight FAM trip of the year with work on Friday night hosted by Hilton hotels in London where we were able to experience three of the hotels in their London portfolio showcasing their bedrooms, meeting space and food and beverage offerings in each of the venues. 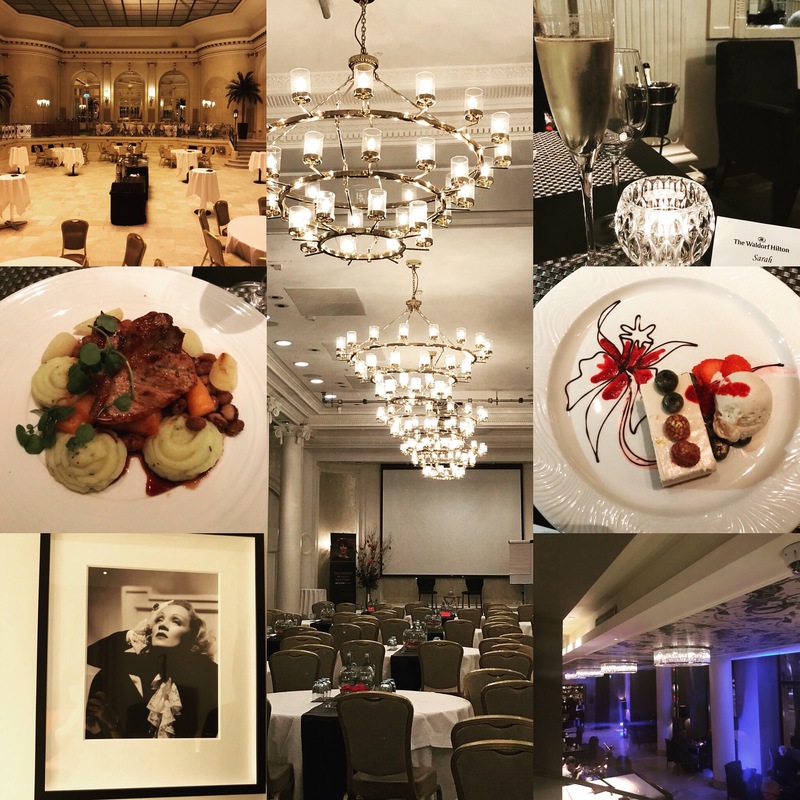 The trip started with a site visit and a sit-down dinner at the Waldorf Hilton hotel in Aldwych which is an historic upscale hotel dating back to 1908. The hotel has a very grand and elegant feel to it with its Edwardian styling and 1920’s art deco style decor but still incorporates a modern aspect as well. We were shown some of the different bedroom types available which are decorated in neutral tones with hints of blue and feature black and white images of icons before being shown around the different meeting and event spaces available including the iconic palm court renowned for its afternoon tea and fine dining offering. The hotel has beautiful public and bar areas with marble accents, grand chandeliers and lighting and even a Jazz singer to welcome you. After the site visit we then had dinner in Homage restaurant where the grand art deco theme continues, we were treated to a sit-down meal with a set menu and Prosecco to go with it – who doesn’t love a good glass of prosecco! After the visit to the Waldorf we then made our way to the hotel we were staying at for the night – The Hilton Tower Bridge. This hotel is very modern in style and is in a great location right by the Shard. The hotel is home to the Two Ruba bar which is a centre piece inside the lobby of the hotel and has a very urban feel which also echoes throughout the hotel with chain mail style curtains, leather booths and velvet tub chairs – they also pour a mean Gin and tonic too! 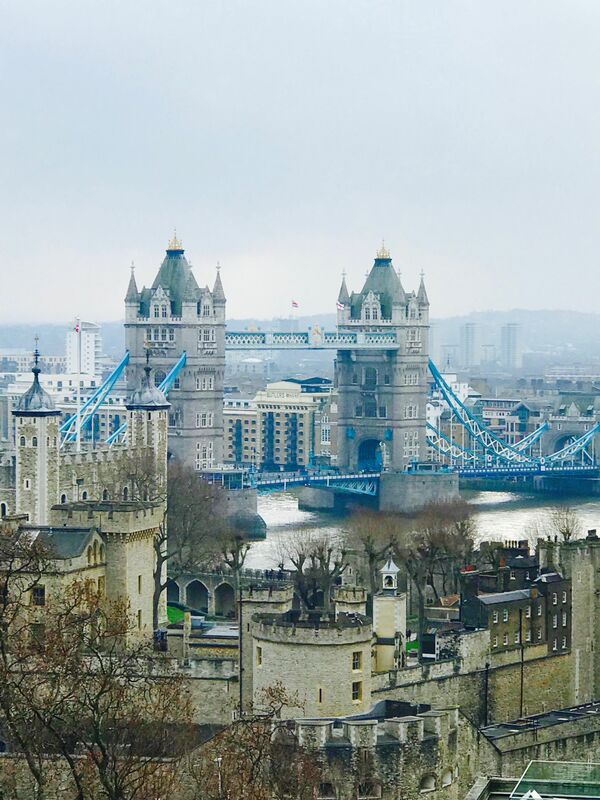 😊 We had an overnight stay here followed by a site visit after breakfast on the Saturday morning where we were shown around the meeting spaces, executive lounge and roof terrace where there is a great view of the Shard and other landmarks like the Gherkin and St Pauls. The hotels restaurant is Jamie’s Italian, and this is also where we had breakfast, there is a huge amount of choice on offer with different stations around the restaurant that include continental options and fruits, cooked breakfast, cereals and muesli, an egg station for omelettes, poached eggs etc all made freshly to order and also pastries, waffles and breads to name a few. The last hotel we visited was the Doubletree Tower of London where we were having our final site visit of the day. After being greeted with one of their signature warm doubletree chocolate chip cookies we again were shown around the various meeting spaces and bedroom types they have on offer. The hotel has a very sociable, light and airy feel about it and is modern and contemporary in style with lots of glass panelling and roofs and neutral colours throughout. 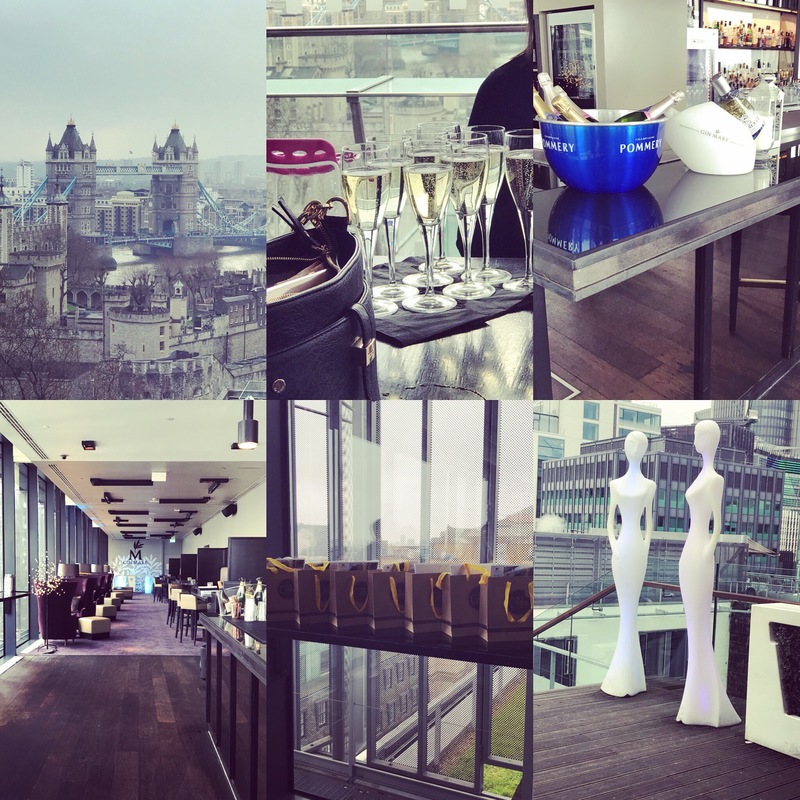 After the site visit we then went up to the Skylounge bar on the 12th floor rooftop where we had a glass of prosecco and were given goodie bags with tins of more of their cookies and samples of the bath and body products available in the guest rooms. The skylounge bar is a great space with floor to ceiling windows and great views across the London skyline, it’s a very modern, fashionable and cosmopolitan space with outdoor terrace space, colour changing LED sculptures and its own standalone Gin Mare gin bar – a definite winner in my book! Lol It would be great for a private event and equally a great place to come with friends and enjoy a glass of bubbles and a bite to eat. Previous Post Guest blog article by Amy Mia Goldsmith – 5 key pieces for your Winter wardrobe. Thank you so much for a great couple of days and for HotelRes’ continued support of Hilton!